Time for conference, kick-off, sales meeting, trade show or event? At High Chaparral you can combine your conference or meeting with a 5 or 10-game do-or-die competition. Or genuine treasures hunt. Large groups can rent the entire park. High Chaparral has a large nature reserve, huge camping grounds and, of course, lots of entertainment including shopping and good food. Welcome to the Wild West! Together with conferences, we offer activities such as treasure hunts, 5 and 10-game do-or-die competitions. We have over fifteen different games to choose from, the selection adapted to the group’s wishes. For those who wish, line dancing with an instructor, a dj, live band and more can be arranged. Otherwise, there are resources in place to help make activities based on your wishes happen for the best possible experience. At High Chaparral you have access to numerous conference and seminar rooms for 20 to 300 people. The lodge accommodates about 100 people in theater style seating and 60 people in classroom style. The loft accommodates 75 people theater style seating and 40 people classroom style. The Diligensen Restaurant is divided into four sections, Spiltan, Trapper, Bonanza and Speedy. Adjacent to the restaurant is the Cheyenne saloon. In total there is space for 250-300 seated guests. Upstairs there is room for approximately 250 dining guests. High Chaparral has the right to serve alcohol. At High Chaparral there is a variety of accommodations. 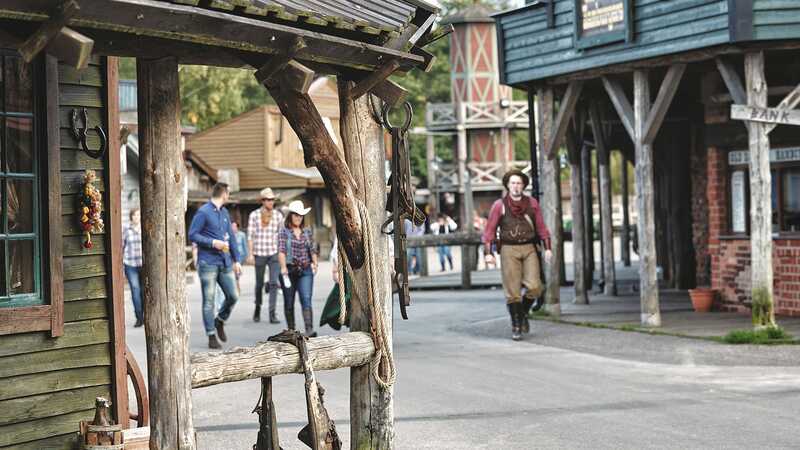 Choose between Wild West Inn, cabins or camping. In total there are 600 beds. Throughout the year we arrange small and large conferences, kick-offs, introductions, sales meetings, family days, trade fairs, events and other corporate functions often combined with activities like 5 and 10-game do-or-die competitions or a treasure hunt.